The Regional Hunting Reserve of "La Sierra de la Culebra" is located in the northwestern quadrant of the province of Zamora, comprising 12 municipalities and affecting, whole or in part, 41 villages. 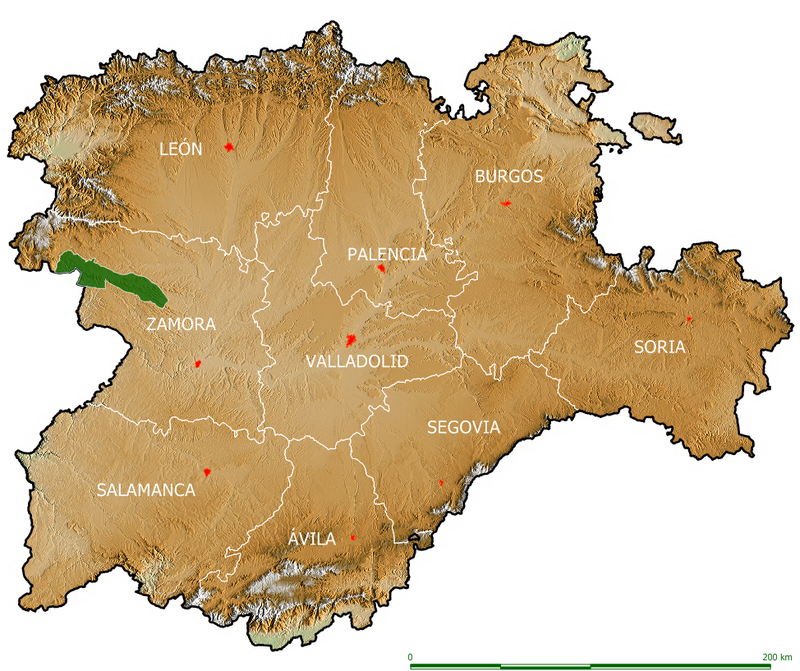 The municipalities are; Manzanal de Arriba, Figueruela de Arriba, Mahíde of Aliste, Villardeciervos, Ferreras de Arriba, Ferreras de Abajo, Otero de Bodas, Tabara, Riofrio de Aliste, Tabara Ferreruela, Puebla de Sanabria and Pedralba de la Pradería. Approximately 70% of the land is municipally owned, 25% privately owned and the remaining 5% owned by some governments. The Regional Governent owns about 1.5%, corresponding to M.U.P. No. 1,003.